Dame Mary Peters is an Olympic and Commonwealth Athletics Legend. Mary Peters was born in Liverpool, and at the age of 11 moved to Ballymena, Northern Ireland, which she regards as her roots. Through a strong work ethic, which remains her hallmark, Peters converted raw talent as an athlete into an international career spanning nearly two decades. 1st in the Commonwealth Pentathlon in 1970 and 1974. Her career was crowned with a gold medal and world record in the pentathlon at the Munich Olympics in 1972. Since retiring from track and field, Mary Peters has continued to serve Northern Irish and British athletics, including as team manager of the British Women’s Athletic Team (1979-84); as a member of the Women’s Committee of the International Amateur Athletics Federation (1995-99); as President of the British Athletics Federation (1996-98); and as Patron of the Northern Ireland Amateur Athletic Federation. 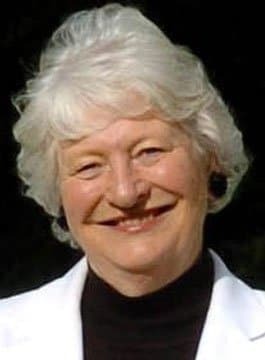 Mary Peters has broadcast with ITV, BBC and New Zealand Radio, she has written columns in the Irish editions of The Daily Star and The Daily Mail. Mary has widened her experience lecturing internationally on fitness, motivation and women in sport and on behalf of many corporate bodies. Mary Peters was awarded the DBE in 2000. Between August 2009 – July 2014 Dame Mary was Lord Lieutenant of Belfast. Represented Northern Ireland at every Commonwealth Games from 1958-1974. Represented Great Britain Internationally from 1961-1974. 1972 Olympic Games Pentathlon 1st World Record 4801 points. Set 25 British Records from 1962 to 1972. Awarded the MBE in 1973 after the Munich Olympics. Honorary Doctor of Science Degree from New University of Ulster 1974. BBC Sports Personality Award in 1972. Dame Mary is best known for her triumphant Athletics career. During the years 1961-1974 Mary represented Northern Ireland and Great Britain winning many accolades. Many honours, awards and trophies have been bestowed upon Mary, and the use of words like ‘Golden Girl’, ‘Legend’ and ‘Icon’ are frequently used by way of introduction at her after-dinner speaking engagements and motivational lectures throughout the world. Dame Mary Peters is one of life’s rarities: a wonderful raconteur who speaks from vast experience with dignity and knowledge yet with caring, humility and humour.